Seafloor massive sulfide (SMS) deposits form on the seafloor from mixing of high temperature hydrothermal fluids with seawater. Modern SMS mineralization represents equivalents of ancient on-land volcanogenic massive sulfide (VMS) deposits, which are mined for base metals (Cu, Zn and Pb) and precious metals (Au and Ag). The shallow-submarine arc-volcano Kolumbo (Santorini, Greece) hosts an active Au-rich SMS mineralization associated with thinned continental margin volcanism that is uniquely enriched in elements like Au, Ag, As, Sb, Hg and Tl, which are also commonly found in epithermal gold mineral systems and may, therefore, represent a hitherto undescribed hybrid style of epithermal-VMS mineralization. 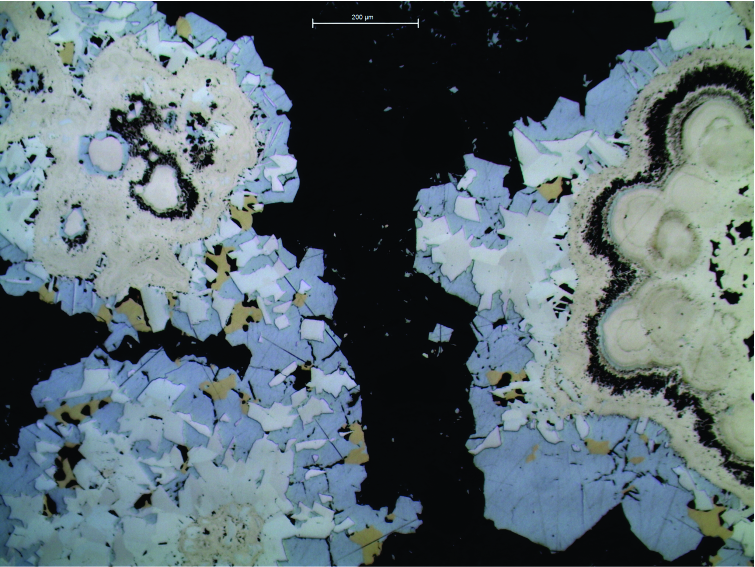 Previous studies demonstrate that mantle volatiles play an important role in the Kolumbo SMS deposit, but it is still unclear whether metal(loid)s mainly are derived from magmatic fluids or from leaching of host-rocks. In this project, we investigate a massive sulfide-sulfate spire from Kolumbo in a collaboration with the National and Kapodistrian University of Athens, Greece and Stockholm University, Sweden. We carry out isotopic and trace element analyses in order to determine the metal source and the direct contribution of degassing of deep intrusions to the formation of the Kolumbo polymetallic SMS deposit. In-situ analyses by LA-(MC)-ICP-MS are funded by the Lars Hiertas Minne Fundation, Sweden.